And on Sunday images from the project were released to the public at the Star Wars Celebration in Chicago. 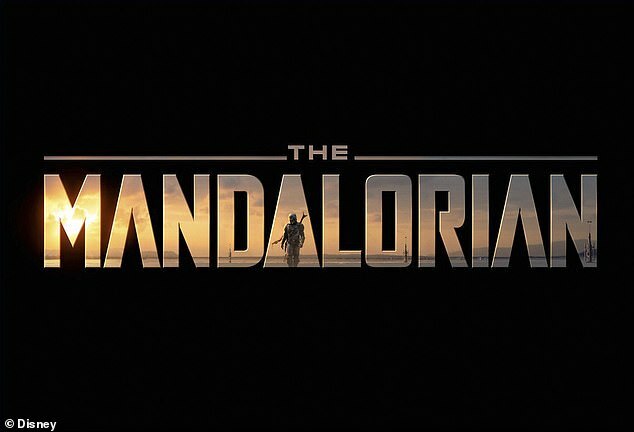 Writer and executive producer Jon Favreau, director and executive producer Dave Filoni and executive producer Kathleen Kennedy made the introduction as they hosted a panel discussion about the upcoming series. 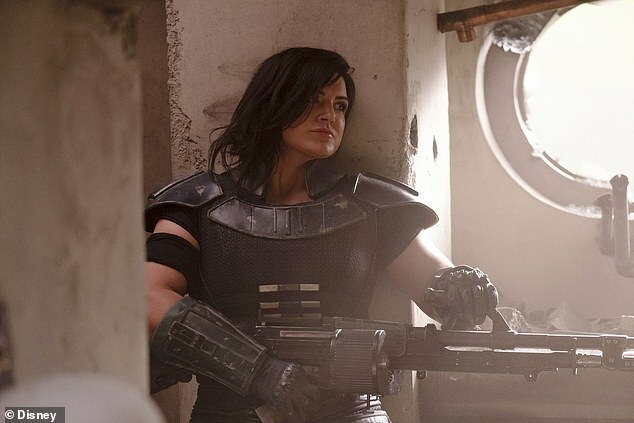 Pedro Pascal’s Mandalorian warrior, Carl Weathers’ character Greef Carga (the head of a collection of bounty hunters), and Gina Carano’s character Cara Dune (an ex-Rebel Shock Trooper) were all seen in a clip that only the attendees of the Celebration could see. And the actors were there at the Celebration as well. 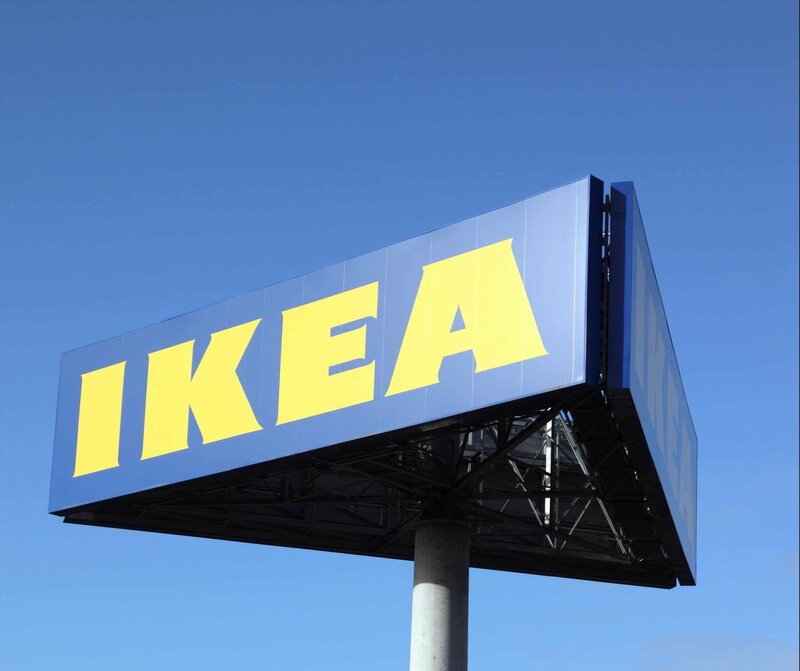 Other stars on the series include Nick Nolte, Werner Herzog, Emily Swallow and Omid Abtahi. 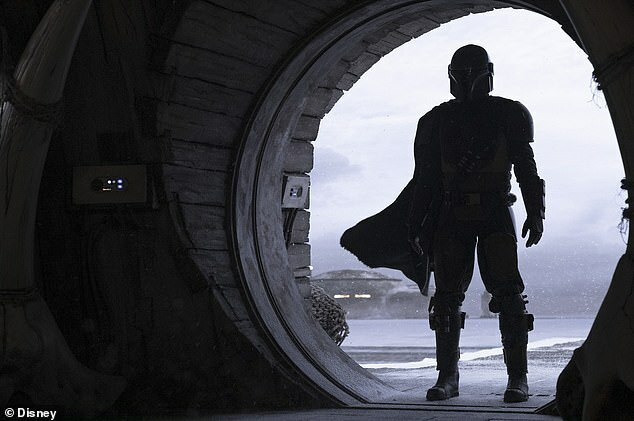 ‘We’re having a great time working with this incredibly talented group and excited for everyone to see what we’re up to,’ said Favreau in December. The story is set between the fall of the Empire from the original Star Wars movie trilogy and before the rise of the First Order from the current trilogy that includes Star Wars: The Force Awakens and Star Wars: The Last Jedi. 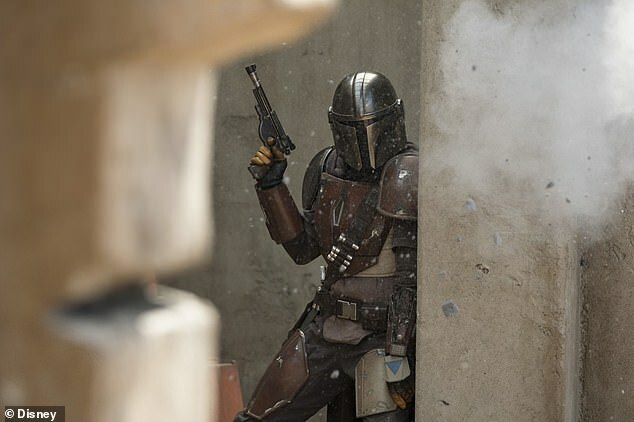 Pascal’s titular character is modeled after bounty hunters Jango and Boba Fett from the earlier trilogies. He travels the outer reaches of the galaxy alone away from the laws of the New Republic. Filming began in October, with creator/executive producer Favreau sharing a first look photo of the title character. The eight-episode series will also have episodes directed by Deborah Chow (Jessica Jones), Rick Famuyiwa (Dope), Bryce Dallas Howard (Solemates), and Taika Waititi (Thor: Ragnarok). On Friday the teaser trailer for Star Wars IX: The Rise Of Skywalker was shared at the Celebration. In it Daisy Ridley’s Rey is seen taking on a TIE Fighter with her lightsaber. Also shown were John Boyega’s Finn with his pal Poe played by Oscar Isaac. 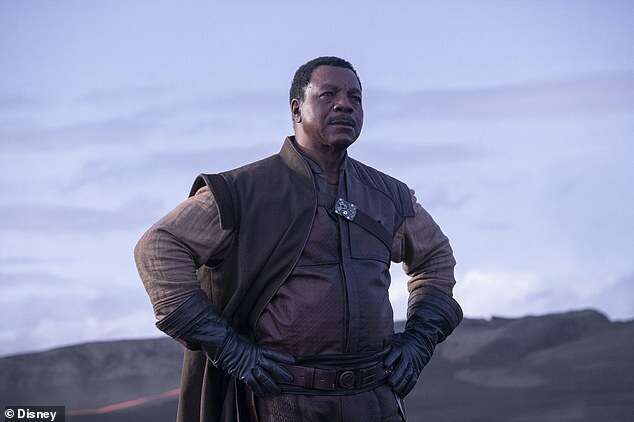 And Billy Dee Williams made his return as Lando Calrissian, who has not been seen in a Star Wars saga since The Return Of The Jedi. The movie will be released on December 20, 2019.